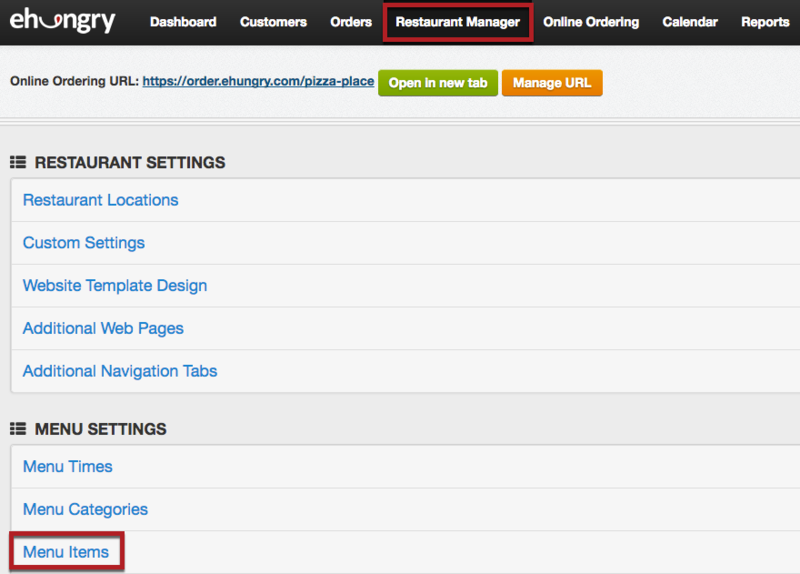 In your Online Ordering Console, you can quickly update a menu item price by selecting "Restaurant Manager" from the main menu, and then selecting "Menu Items" under the "MENU SETTINGS" heading. 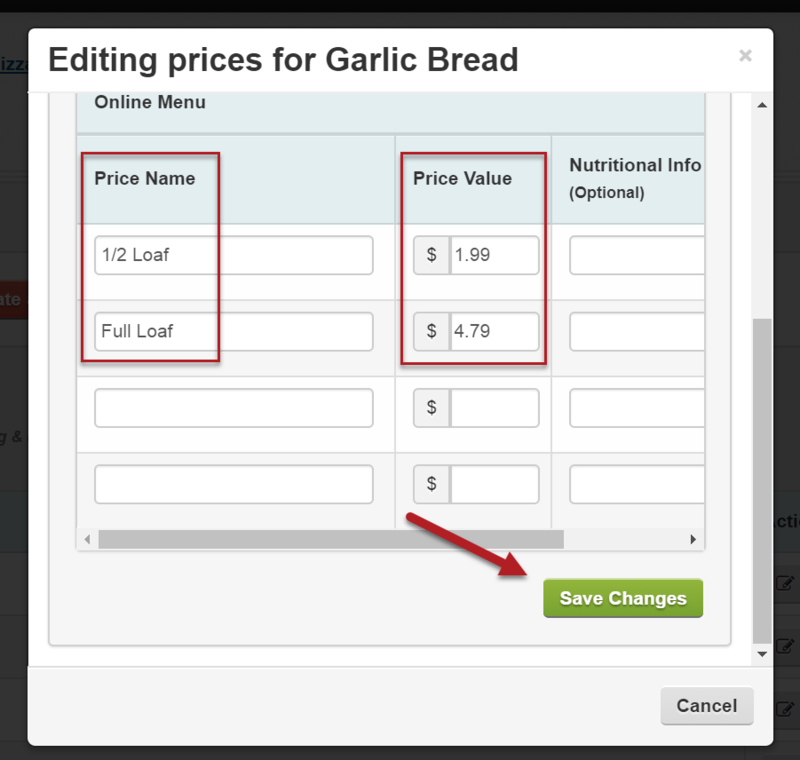 Find the menu item you want to edit and click the Money Icon. A Pop-up box will appear for that specific item. Here you can enter new prices and price names, as needed. Be sure to click Save Changes at the bottom when you are done!